THE NUMBER OF people accessing emergency accommodation has hit a record number of 8,374. That includes 5,250 adults and 3,124 dependents, according to figures released by the Department of Housing. However, the Department says that the rate of those entering homelessness has slowed and the numbers of people being placed in homes is ahead of the number of those entering homelessness. This, Housing Minister Eoghan Murphy says, is “welcome progress”. “Unfortunately, families and individuals continue to present to our emergency accommodation services. There are still 690 families in hotels – while any one family in a hotel or B&B is one too many – this is still significantly down on the high point in March earlier this year, when 871 families were in hotels and B&Bs. This is a 20% decrease in the number of families in hotels and I am working with all stakeholders to ensure that these numbers reduce further over the coming months. “In the first six months of this year over 2,000 exits from homelessness were achieved, so we are on course to well exceed the over 3,000 exits achieved in 2016. Also, this year to end-September, the Dublin Region Homeless Executive has prevented 570 households from entering emergency accommodation, through social housing supports. “Despite all the rhetoric and spin it is clear that the Governments housing plan is not working. 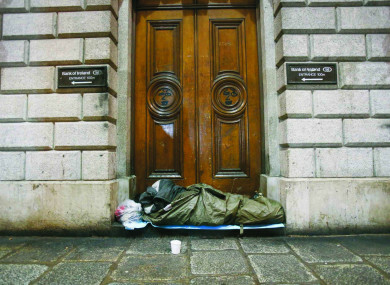 It is not addressing the root causes of the homeless crisis. Indeed it is clear from the detail of Budget 2018 that the Government has set its face against tackling the homeless crisis. “Where is the action to reduce the flow of people into homelessness, such as limits on vacant possession notices to quit and restrictions on home repossessions? Why are only 600 of the 1,800 turn-key properties offered for sale to Government being purchased? Surely more of these units could have been bought to get families and individuals out of emergency accommodation and into permanent secure homes. Focus Ireland said some great work is being done to help many exit homelessness but the charity warned that the Government is still not doing enough to prevent many more from becoming homeless. CEO of Inner City Helping the Homeless Anthony Flynn said that the figures were “a startling indictment” of the government. Email “Murphy hails 'progress' housing people but numbers in emergency accommodation hit record levels”. Feedback on “Murphy hails 'progress' housing people but numbers in emergency accommodation hit record levels”.